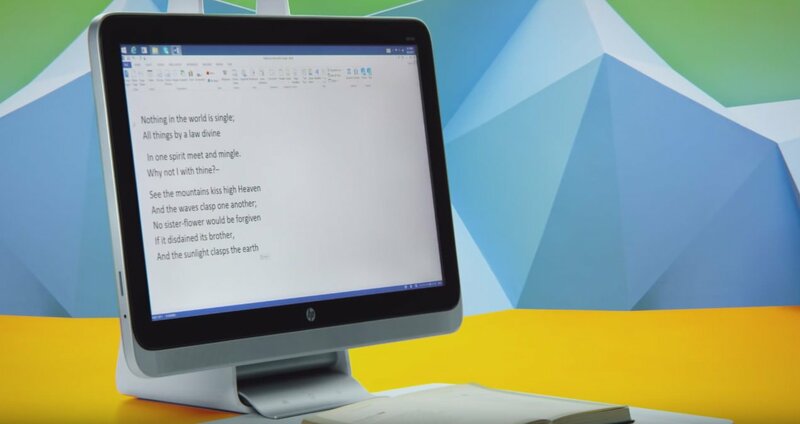 In London, HP Inc recently unveiled its new PC and software solutions intended to support and foster new educational reform within teacher and student communities with a little help from Microsoft. Specifically, HP is looking at the practical and aspirational uses of technology in schools. The company is providing rugged notebooks with long lasting battery life coupled with a premium wireless experience for cloud-based LMS and online curriculum with its HP ProBook 11 G2 Education Edition and HP Pro310 x360 Convertible PC Education Edition for more mobile users. Students or teachers sporting The HP ProBook 11 G2 Education Edition should enjoy the up to 18-hours of battery life from the notebook as well as coming equipped with Windows 10 and an Intel Core experience. The convertible on the other hand offers a bit of flexibility (pun intended) with configurations for Intel, Celeron, or Pentium processors as well as massive storage. Part of HP’s renewed push in assisting students and teachers involves a helping hand from Microsoft and its Windows platform. HP will also be delivering institutions what it calls HP School Pack 2.0. The new HP School Pack 2.0 also features a one-year inclusion of HP Touchpoint Manager for Education that offers a cloud-based IT management solution to manage and secure data, devices and users. Another HP-led service for education includes its Sprout Pro by HP. Sprout Pro aims to help accelerate engagement while also inspiring learning at various levels through an immersive computing experience. For institutions, Sprout also helps maximize classroom IT budgets by consolidating classroom equipment such as cameras or interactive whiteboards and school PCs. Perhaps the most impressive feature of Sprout Pro is its ability to reshape classroom engagement by offering a multi-screen, multi-person collaborative surface on any physical workspace powered by Windows 10. Other Microsoft collaborations involve a joint program called Reinvent the Classroom. RTC is “a worldwide effort to inspire instructional innovation and next-generation learning experiences, powered by Windows 10 and HP solutions.” The initiative will start with over 60 school locations around the globe that will utilize a blend of state-of-the-art learning studios and Microsoft and HP software such as Office 365, Skype, and HP Adaptive Learning. For teachers or students interested in any of the HP programs or products geared toward education, pricing and availability can be found at the www.hp.com site or the Learning with Sprouts homepage.